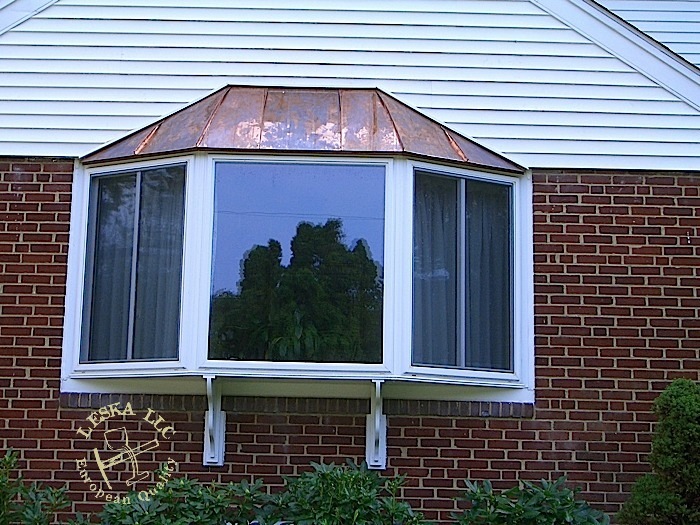 Yet another copper bay window Roof installed in Potomac MD by Leska LLC. 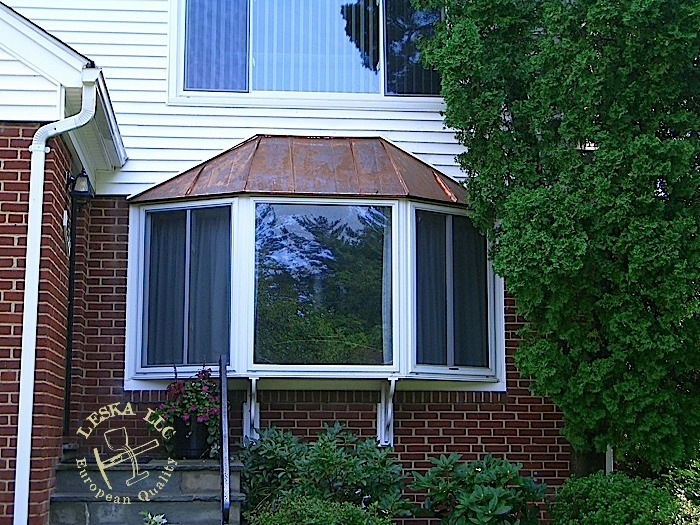 16 oz copper panels with 1" tall double seam was used on those two bay windows. 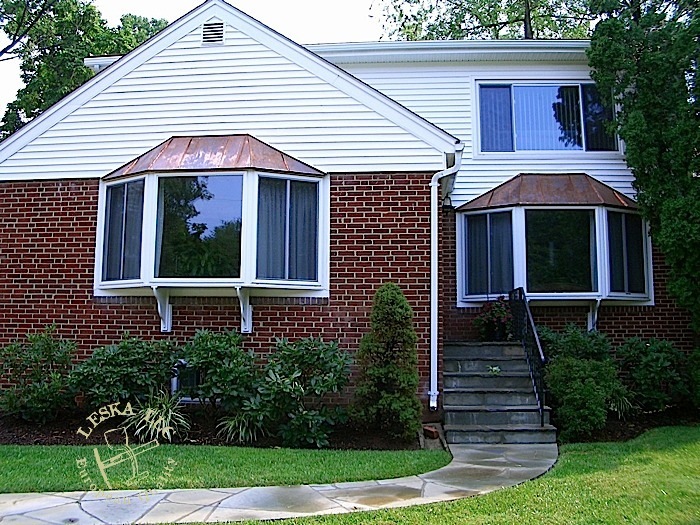 Original asphalt shingles were torn off and recycled.